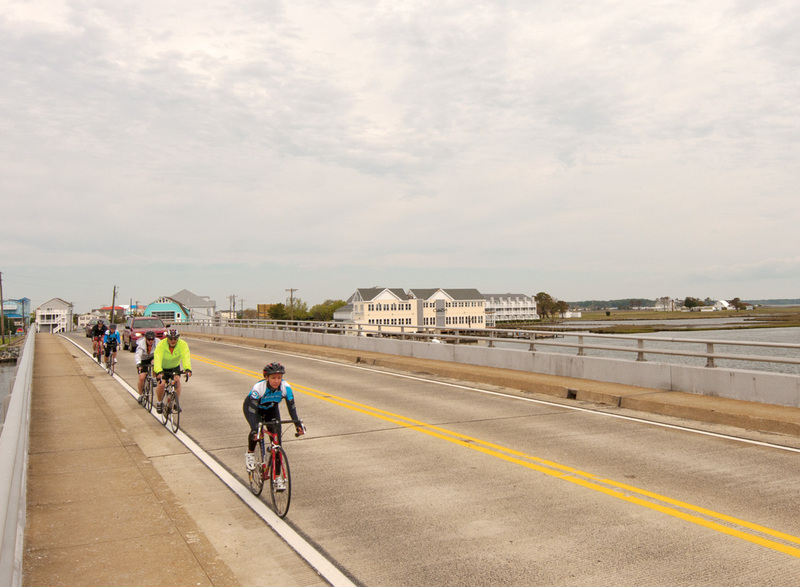 Bicyclists cross the Little Assawoman causeway in Fenwick Island back in 2013. The 29th Annual Ocean to Bay Bike Tour will take place this Saturday, April 28, and motorists are being advised to plan for road closures and delays for their commutes. Sponsored by NV/Ryan Homes and organized by the Bethany-Fenwick Area Chamber of Commerce, the tour will feature more than 2,500 cyclists traveling through lower Sussex County in the Quiet Resorts area. The Chamber is encouraging motorists to use extreme caution on the local roads during the hours of 7 a.m. to 5 p.m. on Saturday. They are anticipating the highest volume of bikes being on the roads from 8 a.m. to noon. The race provides cyclists with four options to participate. They can choose from 30-mile, 50-mile, 62.5-mile or 100-mile routes. Participants will begin and end in downtown Bethany Beach. Towns along the route include Fenwick Island, Millville, Ocean View, Selbyville and Bishopville, Md. Views along the different race routes vary based on the length of the race the cyclist chooses. Cyclists could pass along such places as Holt’s Landing, Salt Grass Point, Dirickson’s Creek, the Indian River Inlet and Bridge, and Tower Road. New for 2018 is the Friday Fun Ride, which is a 15-mile out-and-back ride that will take place Friday afternoon from noon to 4 p.m. The pre-event ride will begin and end in Bethany Beach, and will take riders along coastal Route 1 to the Indian River Inlet Bridge. Cyclists will have the option of enjoying a pit stop at the Big Chill Beach Club, where they can enjoy the view where the ocean meets the inlet. For more information, a complete list of the event’s sponsors or to view a map of each route, visit www.oceantobaybiketour.com.